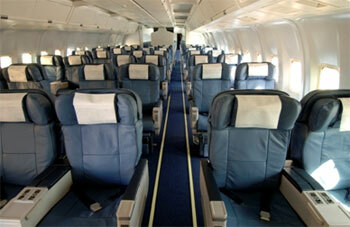 MAXjet Airways used to be a transatlantic all business class airline in the United States. The airline company began operations in 2003 with headquarters centred in the Dulles section of Loudoun County, Virginia, United States. MAXjet Airways used to have flight services to London Stansted Airport, United Kingdom from either Las Vegas McCarran International Airport, Los Angeles International Airport, and John F. Kennedy International Airport, New York. On 24 December 2007, MAXjet Airways ceased operations due to lack of economies of scale with only having 5 aircraft in its fleet. As of December 2007, the passenger fleet for MAXjet Airways include aircraft models of Boeing 767-200 and Boeing 767-200ER. 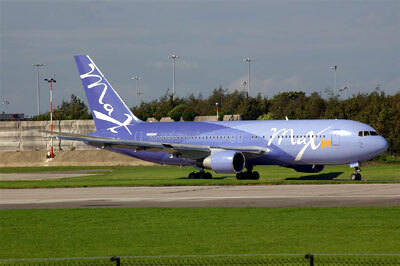 MAXjet Airways used to have on demand entertainment such as 100 hours of movie, favourite TV programs and music videos. There are also portable media players called "MAXplayers" to play pure music audio content.